Marvel at the eerie majesty of Mount Roraima, the inspiration for Sir Arthur Conan Doyle's The Lost World. Spanning the borders of neighbouring Brazil and Guiana, Roraima is the tallest of the Gran Sabana's tepuis (table-topped mountains). Its sheer rock faces are pierced by graceful waterfalls and its ancient crags are lined with endemic, insect-eating plants. Adventure companies take organized treks up Roraima, a challenging but thrilling expedition requiring a minimum of five days. Every year as part of the Corpus Christi celebrations in May or June, up to 100 dancers in ghoulish devil masks perform a colourful ceremony in the small town of San Francisco de Yare, south of Caracas. Based on a Catholic tradition dating back to the Middle Ages, the "Diablos Danzantes" can also be seen in several towns along the central coast, including Cata, Chuao, Cuyagua, Naiguatá, Ocumare de la Costa, and Tinaquillo. Snorkel, swim, dive or fish at Parque Nacional Mochima on the northeast coast, with hundreds of offshore islands and islets. Some – like the popular Isla de Plata – are surrounded by coral reefs; and there are countless beautiful beaches for just lazing around. The archipelago Los Roques is another underwater wonderland, fantastic for birdwatching, diving and snorkelling off its gorgeous white-sand beaches. Check out Colonia Tovar, a slice of Deutschland in the forested mountains west of Caracas. Settled by German immigrants from the Black Forest in the mid-19th century, the town retains its Old World traditions, food and architecture. With its quaint rustic hostels and homemade culinary specialities, Colonia Tovar makes for a touristy but surreal excursion from the capital. 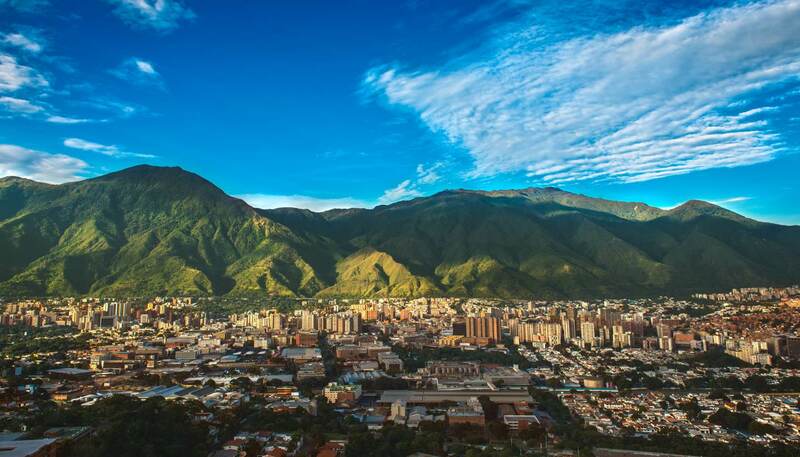 The capital, Caracas, is a modern metropolis set in the foothills of the Ávila range. Besides a fabulously varied culinary landscape, a vibrant cultural life and throbbing nightlife scene, the city also boasts an array of world-class museums. The city is one of South America's most dangerous, but it offers a loud and brash welcome for first-time visitors, most of whom escape to the countryside's gentler attractions after a couple of days. Get up close to birds, monkeys and caiman on a jungle safari in the far south Amazonas region. Based in the largest town of Puerto Ayacucho, specialist tour operators take river trips to lodges deep in the jungle, where you can go wildlife watching. Treks to see spectacular tepuis (table-top mountains) such as Auyan-Tepui and Cerro de la Neblina are also available. Burrow down into the Cueva del Guácharo, the most spectacular of Venezuela's many cave systems. Here you can discover the fascinating guácharos (oilbirds), the nocturnal birds that inhabit this subterranean dwelling and which flock out of the cave mouth at dusk in their thousands, screeching eerily. Linger in the beautifully preserved centre of Coro, an early colonial settlement near the Caribbean coast. The town is on UNESCO's list of World Heritage Sites and is also the gateway to the Paraguaná Peninusula, a prime windsurfing destination. Surrounding Coro are the Médanos de Coro, a national park composed of huge sand dunes, the country's only desert landscape. Get to know Mérida, a delightful university city perched amidst snow-capped Andean peaks. More than just an excellent base for hiking, wildlife watching and whitewater rafting, Mérida has a rich cultural history, with several fine art and archaeology museums and buzzing nightlife. Angel Falls is the tallest waterfall in the world, and, for many, it is also the most stunning. Its glistening waters spill from the rim of an ancient sandstone tepui (table-topped mountain) into a freefall of nearly one kilometre (0.6 miles) before crashing into a pool. Double rainbows can often be seen in the spray-drenched air above. Located in Canaima National Park, 600km (373 miles) south of Ciudad Bolívar, the waterfall is a sacred site for the local indigenous people. Catch a display of Joropo, Venezuela's national dance, in Los Llanos, the vast plains region where it originated. The flamenco-influenced step is accompanied by musicians playing harp, guitar and maracas and singing in a high-pitched nasal style. Local Joropo groups perform at family parties and street concerts throughout the country, but the best places to see it in Los Llanos are in Guanare and San Fernando de Apure. Marvel at the magical natural phenomenon of lightning minus the accompanying thunderclap at the Parque Nacional Ciénagas del Catatumbo, along the southwest shore of Lake Maracaibo. The spectacular displays of forked lightning storms over the water can be witnessed daily throughout the year. The park is also rich with birdlife and animals, including capybara and manatees. Admire large colonies of pink flamingos and scarlet ibis at the Cuare Wildlife Refuge, a coastal reserve adjoining the Parque Nacional Morrocoy, about four hours north of Caracas. Best glimpsed in September, the flamboyant fowl are among many water birds that congregate in the lagoons near Chichiriviche and along the mangrove canals. Ride the world's longest and highest cable car, which runs a staggering 13km (8miles) from Mérida to the top of Pico Espejo, which kisses the sky at 4,765m high (15,629ft). Called Mukumbari, which means "the place where the sun is born," the cable car offers easy access to starting points for carious mountain treks, though it's worth riding just for the sake of it. Enjoy the novelty of skiing in the tropics: the highest Andean peaks of the Cordillera de Mérida have a permanent snowline and can be skied between November and June, though at an altitude of 4,270m (14,000ft) this is recommended only for the hardiest. Several of the country's highest peaks are located here and specialist local agencies offer experienced guides and equipment in the nearby city of Mérida. Train your binoculars on hummingbirds, herons, tanagers, toucanets, and curassows; just a few of the 580-plus exotic bird species at the Parque Nacional Henri Pittier a birdwatchers' haven on the central northern coast. This is the oldest national park in the country, and also home to jaguar, puma and monkeys. The main entrance is at Rancho Grande, between Ocumare and Maracay. Swim, soak up the sun and savour superb seafood on Isla de Margarita, Venezuela's largest Caribbean island. With 168km (104 miles) of beaches, it offers everything from the full-on buzz of its principal town Porlamar, to mangroves, marshes and sand dunes. There are many national and international flights and charters to Porlamar, as well as daily air-shuttles from Maiquetía airport, and ferries from Cumaná, La Guaira (Caracas) and Puerto la Cruz. Take a tour from Maracaibo north to the Guajira Peninsula, via the Sinamaica Lagoon, where the indigenous people of Venezuela live much as they did when the first Spanish settlers arrived, dwelling in houses that are raised above the lake on stilts. The stilt houses reminded the conquistadors of Venice, prompting them to name the country "Little Venice".